The LX 570's unusual seat-folding arrangement demands a closer look; make sure you fold them to a flat cargo floor and see if the setup is for you. The 2011 Lexus LX 570 is no Range Rover or Escalade, and it isn't a serious trail crawler either; what's left is a luxurious and well equipped SUV, but one with limited appeal. 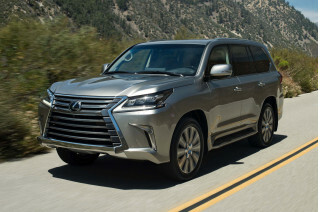 The Lexus LX 570 a big, luxurious sport-utility vehicle; and in some respects an idea of luxury that's come and gone—one in which safari-chic was in, and bigger was always better. It's a bit conflicted in purpose, and the way this huge SUV performs emphasizes that it's neither an ideal on-road family wagon nor as deft an off-roader as the Land Cruiser on which it's based. The LX 570 is powered by a 381-horsepower, 5.7-liter V-8, and it shares core components with the Land Cruiser—which means it's a very stout (6,000-pound) vehicle, with a body-on-frame construction intended for long-term durability and off-road performance. With its responsive six-speed automatic transmission and Torsen limited-slip differential system, the LX 570 performs well, with passing and acceleration a snap, but its heft is never far out of mind when maneuvering or braking. Maneuverability on tight city streets can be challenging, and there's not a lot of cornering capability built in; there's a lot of body motion, and the steering is almost fingertip light at some times. Tow ratings range up to 8,500 pounds. While Lexus seems to be openly discouraging serious off-roading treks with the LX570 by not offering any off-road options or accessories, the vehicle does have a high-clearance capability; active height control can raise the body a couple of inches at slower speeds to aid ground clearance, then lower it at higher speeds to reduce aerodynamic drag. Crawl Control also helps in low-speed maneuvers over boulder-strewn paths or scree-strewn hillsides. The LX 570 has a seating arrangement that's quite a bit different than those of most other luxury SUVs, and there are good and bad points to it. As is typical, the third row is hard to get to and it's quite cramped. The second row seats are considerably more adult-sized—although a little flat. While the second rows fold and flip fully forward to expand cargo space, the third-row seats flip up and rotate to the side—allowing, more easily, a flat, continuous load floor for longer cargo items. The disadvantage to the setup is that the third-row seats can't be completely removed. The cabin is tight and quiet, with low levels of road and wind noise, though the bellowing engine isn't hushed up to Lexus levels of refinement and can be heard even when cruising in some situations. Be ready for a ride that's somewhat cushy but involves lots of body motion in cornering as well as heaving over bumps. The 2011 Lexus LX 570 comes loaded with comfort, convenience, and entertainment features, and there are even more luxury upgrades available to equip the LX 570 at the level of any other prestige-level SUV. Bluetooth and a nav system are included, and from features like a 180-degree camera that can see each way at a blind intersection to power-assist middle-row seats, there's a lot to love in the everyday-useful feature department. And if that's not enough, optional extras include a rear-seat entertainment system, radar-adaptive cruise control, and a 19-speaker Mark Levinson audio system. African Bubinga wood trim, heated and ventilated seats, and custom wheels are also available. The 2011 Lexus LX 570 feels like a luxurious, high-end vehicle inside and out, but it's all quite subtle and low-key. From the outside, the 2011 Lexus LX 570 is a huge, truck-based wagon. While its stance and cues up high are very trucklike, its lower-body cues and low-riding running boards hint that it's less of an off-road vehicle than the Toyota Land Cruiser on which it's based. Overall, the look is much more subtle than that of Toyota SUVs; it lets observers know it's a Lexus without hitting them over the head with its size. Inside, excellent materials complement a luxurious yet functional layout, with controls well at hand. The instrument panel is upright yet finely detailed, softly contoured, and accented with matte-metallics, and the lavish cabin is trimmed with high-end perforated leather and impressive veneers. The 2011 Lexus LX 570 is strong and capable, but it's seldom if ever enjoyable to drive. The 2011 Lexus LX 570 is a bit conflicted in purpose, and the way this huge SUV performs emphasizes that it's neither an ideal on-road family wagon nor as deft an off-roader as the Land Cruiser on which it's based. 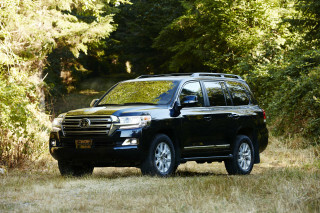 The LX 570 is powered by a 381-horsepower, 5.7-liter V-8, and it shares core components with the Land Cruiser—which means it's a very stout (6,000-pound) vehicle, with a body-on-frame construction intended for long-term durability and off-road performance. With its responsive six-speed automatic transmission and Torsen limited-slip differential system, the LX 570 performs well, with passing and acceleration a snap, but its heft is never far out of mind when maneuvering or braking. Maneuverability on tight city streets can be challenging, and there's not a lot of cornering capability built in; there's a lot of body motion, and the steering is almost fingertip light at some times. Tow ratings range up to 8,500 pounds. The 2011 Lexus LX 570 is very comfortable, though ride quality isn't always top-notch. In front, though, there's great comfort from the generously sized seats, which are finished in perforated leather and very soft, yet supportive. No matter which seat, though, a huge step up is required, which could be an issue for some. The available active height control system can help; it lowers the vehicle about 2 inches to ease ingress and egress, raises it for more ground clearance at low speeds, and lowers it at higher speeds. The LX 570 cabin remains tight and quiet, with low levels of road and wind noise, though the bellowing engine isn't hushed up to Lexus levels of refinement and can be heard even when cruising in some situations. Ride quality is soft, but a mixed bag; there's a lot of body motion and secondary heaving after impacts in the LX 570, which can be more fatiguing than controlled choppiness on rough surfaces. Even without official ratings, the wide range of safety features and the comfort of sheer bulk make the LX 570 a pretty safe pick. 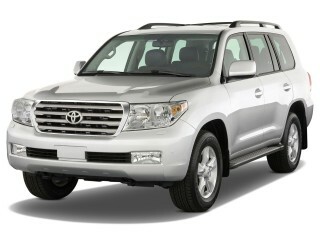 There aren't any U.S. safety ratings to go on regarding either the 2011 Lexus LX 570, or the 2011 Toyota Land Cruiser. 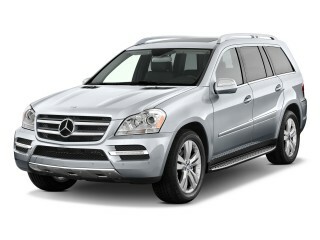 Neither has been crash-tested, but the LX 570's stout structure and good list of safety features are reassuring. Lexus doesn't skip any key safety features with the LX 570, equipping stability control, ABS with all-terrain mode, front and second-row side airbags, side impact airbags for the second and third rows, active head restraints, and front knee airbags all as standard. The one serious issue with the LX 570's safety remains outward visibility; because of its high stance and rear roofline, you might get a good view out ahead but spotting vehicles just to the side or behind, for parking or lane changes, can be challenging. 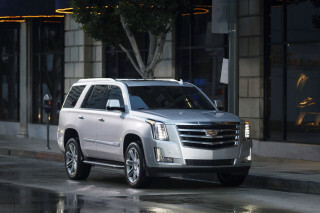 Large mirrors, front and rear obstacle sensors, and a rearview camera help offset the loss. 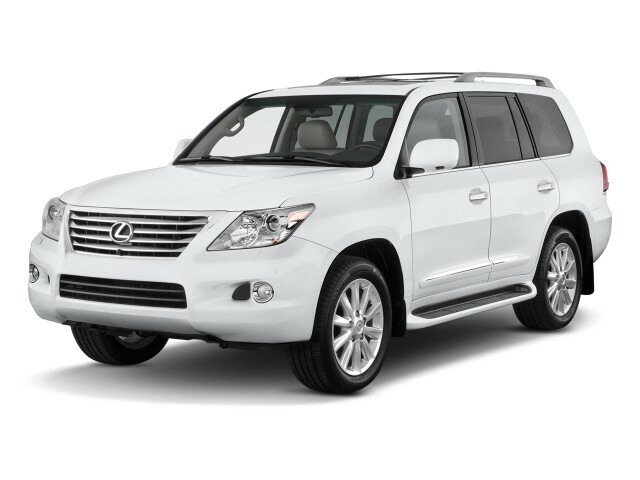 The 2011 Lexus LX 570 comes with has almost everything a luxury SUV owner could need or want. The 2011 Lexus LX 570 comes loaded with comfort, convenience, and entertainment features, and there are even more luxury upgrades available to equip the LX 570 at the level of any other prestige-level SUV. Standard equipment highlights include four-zone climate control, power sliding second-row split seating, voice-activated navigation system with Bluetooth, sound system, XM Satellite Radio, and Enform and Safety Connect, Lexus' new in-house telematics and emergency roadside services. From features like a 180-degree camera that can see each way at a blind intersection to power-assist middle-row seats, there's a lot to love in the everyday-useful feature department. 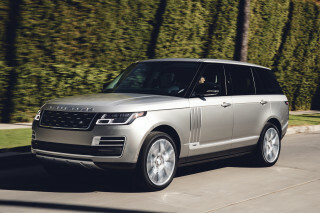 And if that's not enough, optional extras include a rear-seat entertainment system, radar-adaptive cruise control, and a 19-speaker Mark Levinson audio system. 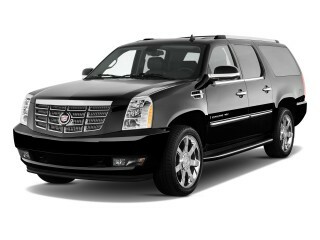 African Bubinga wood trim, heated and ventilated seats, and custom wheels are also available. If you want to spite the environmentally-conscious, this is the way; the LX 570 is a guzzler. 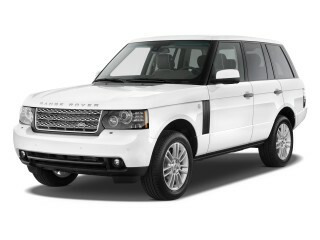 It's a little hard to believe that such an overt gas guzzler is produced by the same company that makes vehicles like the Toyota Prius and the Lexus CT 200h, but the automaker is, arguably, covering all aspects of the market. The LX 570 brings a soft luxury sheen to serious truck-based underpinnings, but its fuel economy is among the lowest of any vehicle in its class, or any vehicle on the market, at 12 mpg city, 18 highway. That puts it near the top of the EPA's Carbon Footprint scale, and—based on our assumption that the majority of energy used during a vehicle's service life will be used through the tailpipe—makes it one of the least green choices you could make.